Challenger. 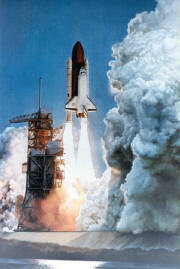 1984 Space Shuttle launch. 21x27 full color lithographs on heavy premium stock from original oil painting. Limited edition of 950, signed and numbered.